Camp Bestival, down in Dorset, is a family-oriented festival that is great fun and attracts huge numbers each year. 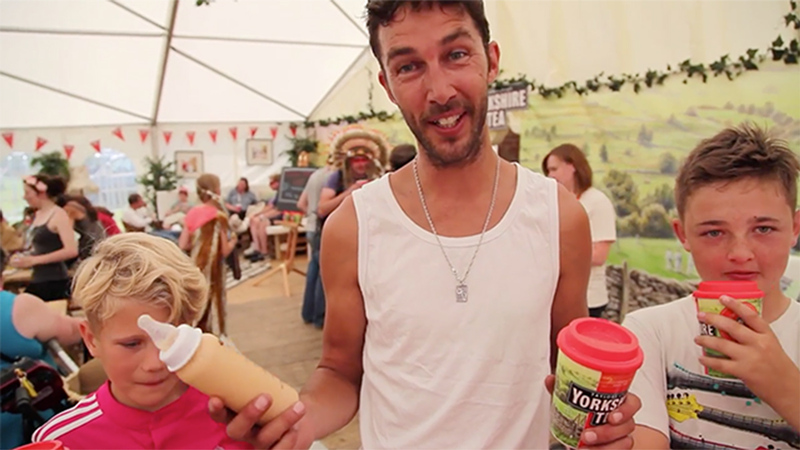 Yorkshire Tea wanted to widen their exposure for their brand and encourage sampling in the South of England, so Camp Bestival was a great fit. Shot in one extremely long but totally amazing day (including travel to and from Harrogate in North Yorkshire), the video captured the vibe of the festival and communicates to staff and stakeholders its tremendous success. Shot in 1080 HD video and edited in Final Cut Pro.